Cloudy early with peeks of sunshine expected late. Slight chance of a rain shower. High 64F. Winds light and variable..
Mostly cloudy early, then clearing overnight. Low 47F. Winds light and variable. 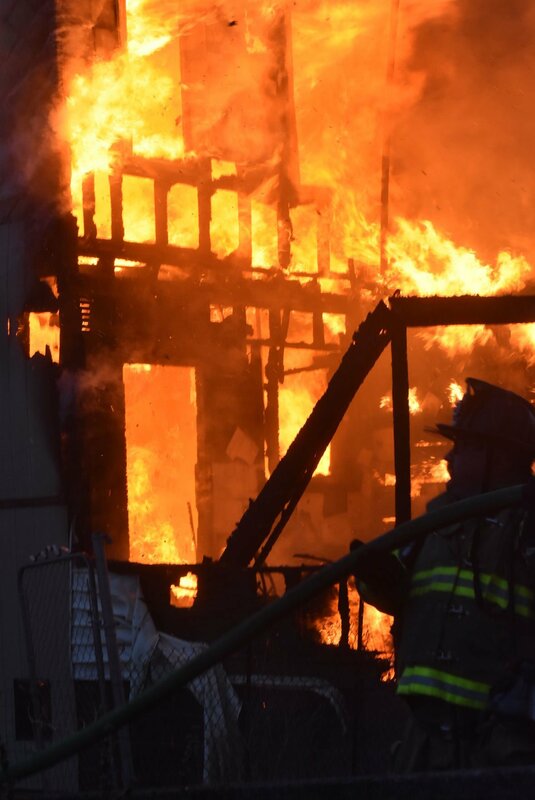 First responders battle a blaze at the rear of 1331 W. Water St. in Coal Township. The back porch of 1331 W. Water St. is engulfed in flames on Thursday evening in Coal Township. Firefighters battle at the rear of 1331 W. Water St. during a dwelling fire in Coal Township. A puppy is reunited with its owner, Richard Wolford, following a devastating Water Street fire Thursday in Coal Township. Front view of a Thursday evening two-alarm blaze at 1331 W. Water St. in Coal Township. Front view of Coal Township fire at 1331 W. Water St. on Thursday evening. Flames rage above two firefighters, left, standing on the front porch of a burning residence at 1331 W. Water St. Thursday evening in Coal Township.